Last Friday we visited the National Museum. As with most trips in Riyadh, this was a carefully planned operation. First we had to check when the museum was open for families (as opposed to just single men). Then we had to work out where we were going. It’s impossible to rely on either maps or GPS. And there are the street names. Not only do street names have heaps of different spellings, they’re also exceedingly long and complicated. People tend to use simpler, informal names, or explain where places are by reference to landmarks. 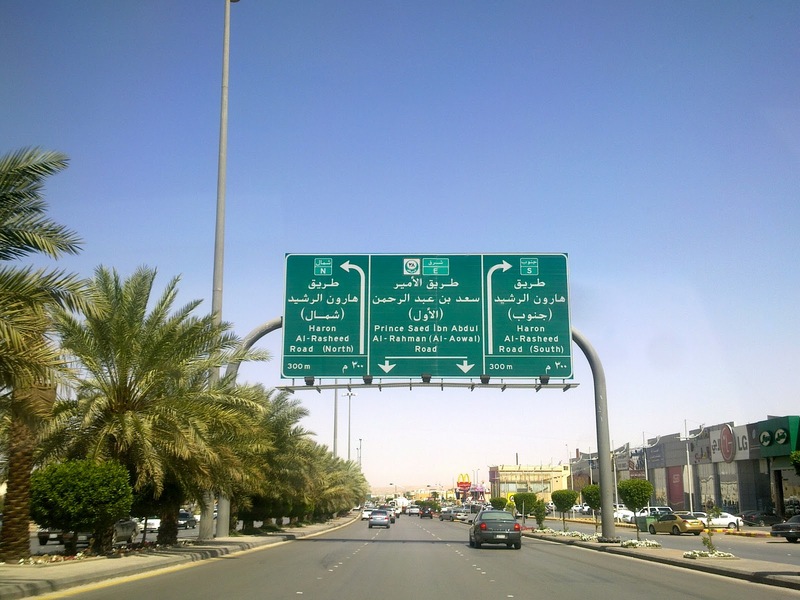 Try remembering ‘Prince Saed Ibn Abdullah Al-Rahman Road’ when you want to give a taxi directions. Or perhaps Prince Mohammed ibn Abdullah Aziz Street? No wonder it’s universally known as Tahlia Street. 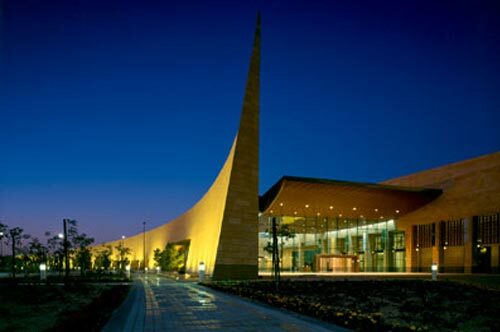 Riyadh’s National Museum was built in 1999 as part of Saudi’s centenary celebrations. The exterior of the Museum is instantly impressive. Inspired by the form and colour of sand dunes, it’s a fortress-like exterior – but it’s softened by the landscape of parks, fountains and plazas all around it. Unfortunately, when we visited, children playing in the fountains were also using them as toilets. The smell was…memorable. It’d be impossible and tedious to go through each of these in detail! Instead I’m just going to share some of my highlights. Early writing in the Pre-Islamic gallery. In the Pre-Islamic Gallery there was a section on the evolution of writing with many different examples of early calligraphy displayed. It was interesting trying to see if there were any similarities between early Aramaic and other ancient languages, such as Greek. There was a bridge to the Post-Islamic and Arabic States Galleries – a symbolic cross-over from the time of darkness to the time after Islam was revealed to the prophet Mohammad. There was an abstract mural following the bridge. Since art is not fostered in Riyadh, its beauty and artistry was all the more impressive. The Koran forbids images or any form of representation of living figures. These astrolabes were an intriguing aspect of early Arabic history. The caption below this exhibit stated Arab advancement in no uncertain terms. They were the first to learn the principles of the geometry of a sphere, calculating the sun’s movement in a year, and stating that the world was round. A beautiful handwritten Koran, one of the very last exhibits. I found the museum remarkable. It introduced me to aspects of history I knew little about. The layout included many life-sized dioramas, interactive displays and replicas. There was no chance to feel bored - the three hours it took us to go through the eight halls seemed to flash by. But there was a pervading sense of decline. Many display cases were missing exhibits, with no explanation why. Interactive multi-media presentations had lost their leading edge technology, such as laser light displays. 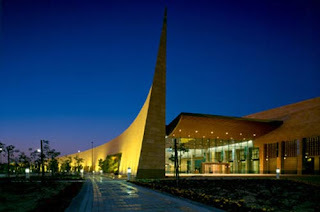 Friends had told me that the museum gift shop was the best in Riyadh with high quality crafts and books. That too, was empty and closed. The museum’s web site no longer exists. Sadly, this remarkable place seems to be overlooked and undervalued by the very people it represents.